AT HOSPITALS PROVIDING CHILDREN’S HEALTH CARE. TAXES AND VEHICLE FEES BE APPROVED BY THE ELECTORATE. DIALYSIS CLINICS CHARGE FOR DIALYSIS TREATMENT. TO ENACT RENT CONTROL ON RESIDENTIAL PROPERTY. WORK BREAKS. ELIMINATES CERTAIN EMPLOYER LIABILITY. demonstrations from our many student programs! 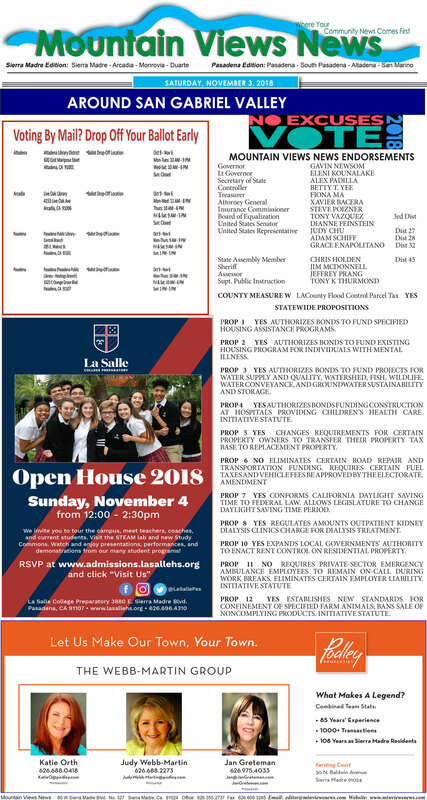 La Salle College Preparatory 3880 E. Sierra Madre Blvd. Let Us Make Our Town, Your Town.